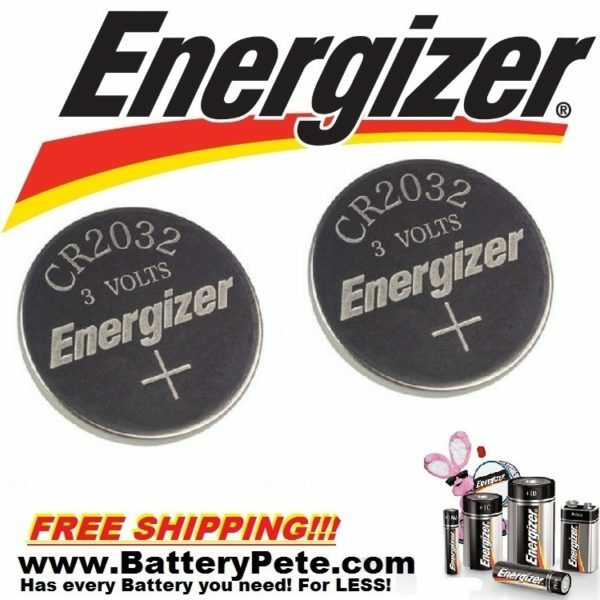 Energizer key fob batteries are a great replacement to the OEM remote battery. Energizer Key Fob Replacement Batteries are better than original equipment batteries because manufactures usually install cheaper quality batteries or products to keep down costs and get you back into the service department to make more money off of you the customer. Energizer batteries are long lasting and made from only the highest quality materials. They just keep going, going and going! FREE SHIPPING FOR A LIMITED TIME!!! This Jeep Key Fob Battery Replacement is the OEM replacement for many Jeep models. This specific product page is for the Grand Cherokee models 2008 thru 2017 and the Libery Models 2005 thru 2013. Please check the list below for vehicle fitment. 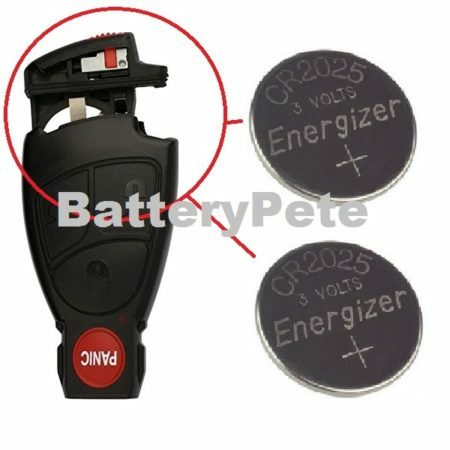 This Energizer CR2032 3v Lithium Battery will replace the original battery from your Key Fob, keyless entry remote / remote key. Energizer key fob battery replacements are made with the highest quality materials to provide you with a battery that just keep going and going. Make sure you have a 2032 number on the old battery in your cars remote key or key fob. If the key fob battery is not in your remote you can usually find the battery number on the back cover of your key fob, keyless entry remote / remote key. Energizer key fob replacement batteries are better than original equipment batteries because manufactures usually install cheaper quality batteries or products to keep down costs and get you back into the service department to make more money off of you the customer. All Energizer batteries are long lasting and made from only the highest quality materials. These special application batteries offer the reliable power you’ve come to expect from global brands such as Energizer. You can be assured it’s a battery you can count on since Energizer is the #1 brand of Automotive Car Audio Specialists. Note – If you are not 100% sure just open your key fob with a little screw driver and the number is stamped on the battery. These batteries are the perfect OEM replacement for your Toyota’s Keyless Entry Remote/ Key fob. The Battery that keeps going and going and going. Don’t get locked out by buying inferior cheaper brands! Be the first to review “Jeep Key Fob Battery Energizer CR2032 Grand Cherokee Liberty 2003 to 2017 Models” Click here to cancel reply.